At least four Washington state lawmakers have blocked constituents or reporters from their public Facebook or Twitter pages. The ACLU has warned lawmakers that blocking someone because of an opposing viewpoint could violate the First Amendment. OLYMPIA — Last November, the ACLU of Washington sent a letter to all Washington state lawmakers, warning they could be violating the First Amendment when they block people on their social-media accounts. Lawmakers have not necessarily rushed to heed that call. On Friday, Washington state Sen. Doug Ericksen, R-Ferndale, began to lift restrictions on his public Facebook page for people who say they have been blocked from it for more than a year. The move came only after about 75 people — including some progressive activists who have opposed Ericksen over various issues — signed an open letter calling on the senator to unblock them. Some of those citizens say the senator deleted their posts or blocked them just for expressing displeasure with a post by Ericksen they found controversial. “Their goal is to have me take my Facebook page down,” said Ericksen, who is running for re-election. Ericksen isn’t the only legislator who has blocked citizens from their social-media accounts. 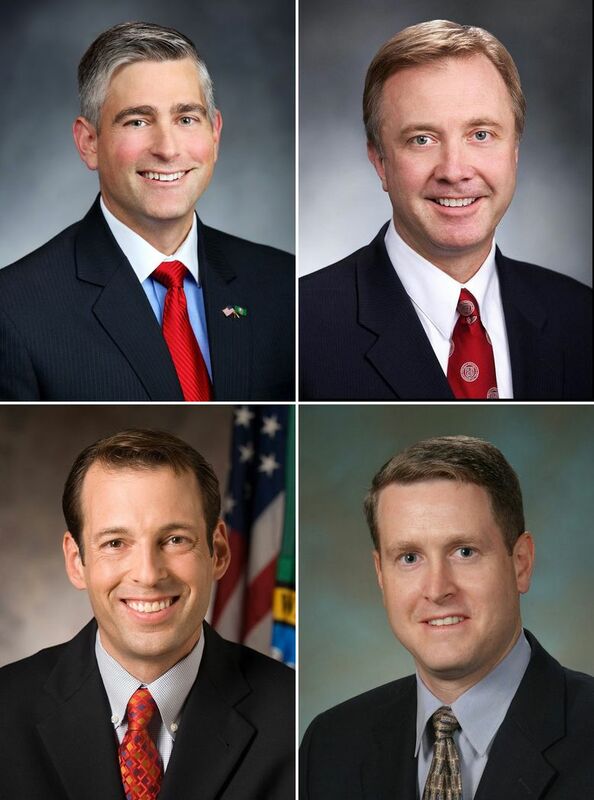 At least three other state lawmakers — two Republicans and a Democrat — have blocked constituents or reporters from their public Facebook or Twitter pages. Those lawmakers say they don’t use their public staff to help manage those social-media accounts. The ACLU letter describes those pages as “limited public forums” protected by the First Amendment, and says lawmakers can regulate speech such as vulgar or off-topic posts there. “But viewpoint discrimination — for example, removing posts or blocking particular users entirely on the basis of the point of view expressed — is never permissible since it violates the First Amendment right to free speech,” the letter says. The letter cites several cases, including a federal district court ruling in May in New York that said President Donald Trump couldn’t block people expressing their views on the Twitter account he uses to discuss issues or opinions related to his office. Toby Nixon, of the Washington Coalition for Open Government, however, said he wonders whether a lawmaker’s Facebook page is always necessarily a public forum. Nixon, who is also a Kirkland city councilman, described how he recently used his Facebook page to solicit comments on a city issue, and then took those comments back to other council members as public input. But that doesn’t mean other lawmakers are using their pages in a similar way, or that a judge would agree with the ACLU. Ericksen and other lawmakers say it’s necessary to block people they see as disruptive and offensive, or who have been rude to them. Sen. Andy Billig, D-Spokane, said he has blocked two people from his Facebook page for making offensive posts, which he declined to describe. Billig said he blocked those people only after they made several offensive remarks, and after giving them repeated warnings. Ericksen drew the ire of some constituents early last year after posting a cartoon that compared U.S. Department of Education Secretary Betsy DeVos to Ruby Bridges, a civil-rights icon. He later deleted the post, according to The Bellingham Herald. Eowyn Savela, a 38-year-old Bellingham resident, said she was one of those blocked by Ericksen after she commented on the post in protest. Savela helps lead the Riveters Collective, a progressive organization that sprang from a pro-Hillary Clinton group during the 2016 presidential election. That group — which was also active in last year’s unsuccessful recall against Ericksen over the time he spent working with the Trump administration — spearheaded the recent open letter to Ericksen. At least two state lawmakers have blocked reporters from following their Twitter accounts. One of those, Rep. Matt Shea, R-Spokane Valley, didn’t respond this week to emails seeking comment. Sen. Michael Baumgartner, R-Spokane, had banned at least one journalist at The Seattle Times who he considered rude. In an interview, Baumgartner questioned whether comments he felt were rude would fit the ACLU’s definition of speech as constituting a viewpoint. He noted that he has separate Twitter accounts for his legislative and campaign roles, and that no public staff or resources are used in his campaign account. No tweets have been posted on his legislative account, however, since 2011. Baumgartner, who is leaving the Legislature and running for Spokane County treasurer, argued that politicians on personal platforms “narrowcast” to a smaller audience. “I’d be surprised that the ACLU’s argument would ultimately hold up in court,” he said.